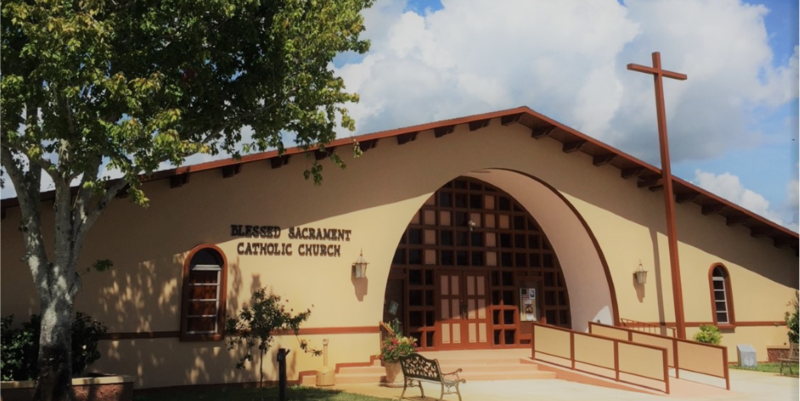 Blessed Sacrament Catholic Church is located at 5135 North Cocoa Blvd. in Cocoa, Florida. Our parish was founded in 1967 and has served the people of North Brevard for over 50 years. Ground breaking ceremonies for the church were held in 1969 and the first mass was celebrated on Easter Sunday, April 6, 1969. Over the years the people of Blessed Sacrament have worked hard to create a loving, welcoming environment where all are welcome. Come celebrate with us. Click on the Weekly Bulletin tab to find out about our Annoucements!